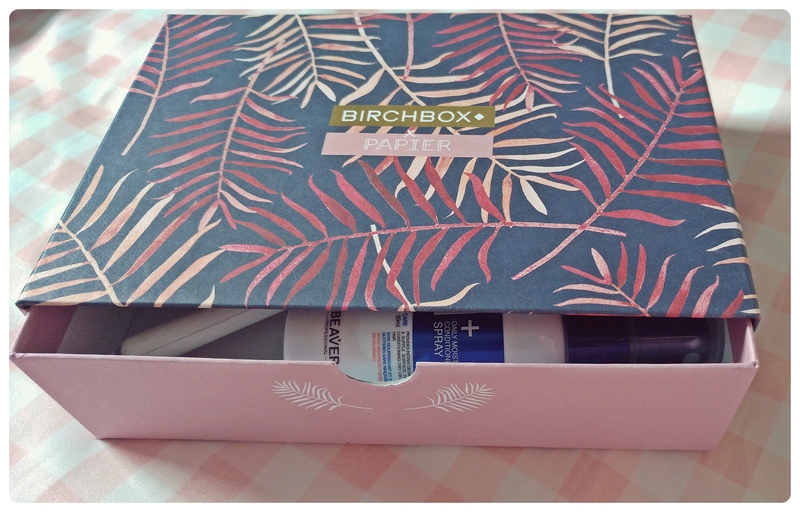 I’ve seen things about Birchbox for a while on social media but never thought to subscribe to it until this month when I decided to give it a go. I always love to try out new products and with this opportunity I can get skin, make-up, body and fragrance samples. The subscription costs only £10/month + £2.95 delivery fee, every month you receive 5-6 products; if you want to opt out you can do it at any time for free – but don’t see why you would do this ’cause the products are amazing! 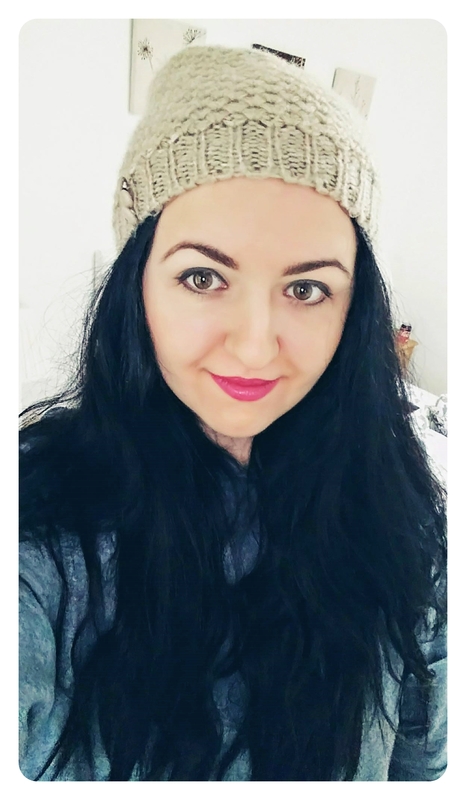 After you subscribe, you have to complete your ‘beauty profile’ where you tell them a few things about you so they will tailor the box with the right products. Birchbox team say that they also send sometimes non-beauty bonus items and you can choose what interests you for future picks. 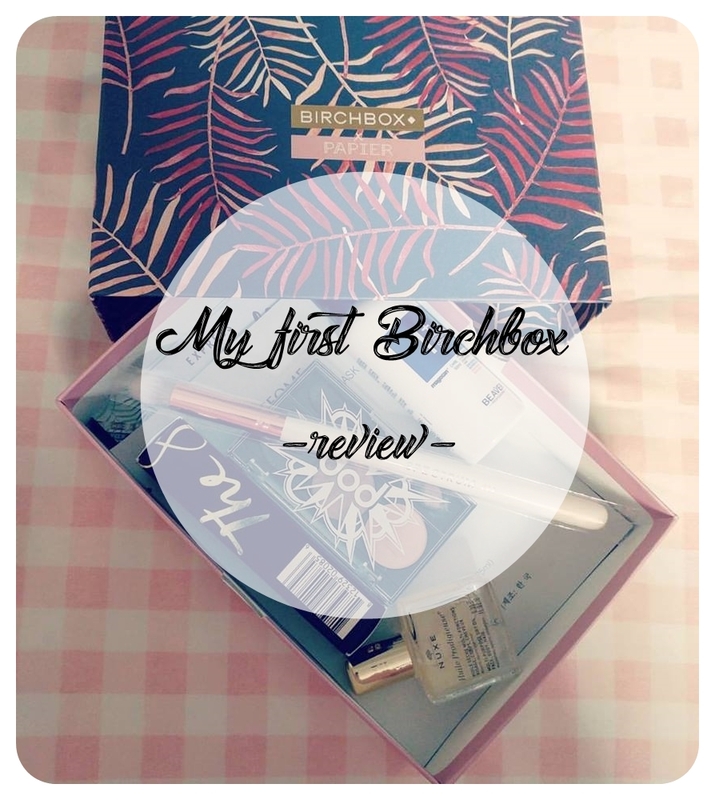 I received my first Birchbox at the beginning of the month before I went to Paris but I wanted to try out all the products and it required some time, plus I’m working so I waited for the weekend off to do this review – the box arrives at the beginning of each month. This month, the boxes have a very nice Papier design and are simply cute + you can use them afterwards as storage for your beauty collection. 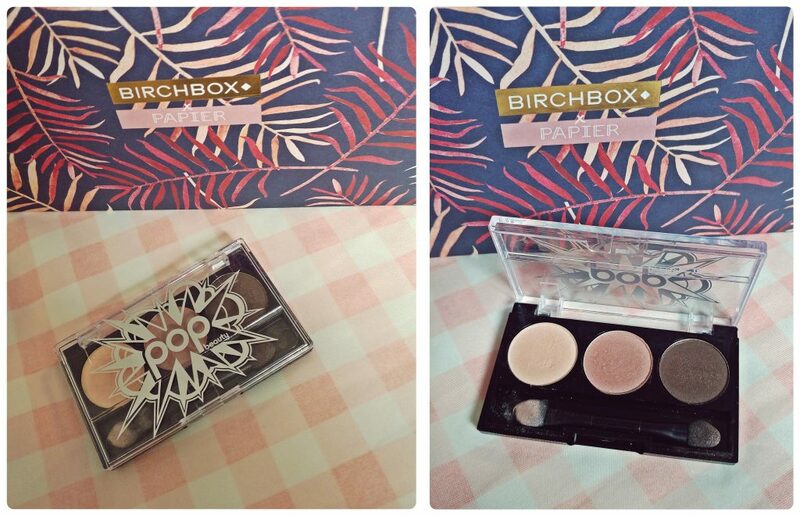 Every box has a full-size Spectrum Brush plus a Pop Beauty Eyeshadow Trio to use it with. If you use code CULT at checkout you receive a free full-size Smith & Cult The Shining Lip Lacquer. I love this eye contour brush. I used it together with the Pop Beauty Eyeshadow Trio too and they work perfectly together. 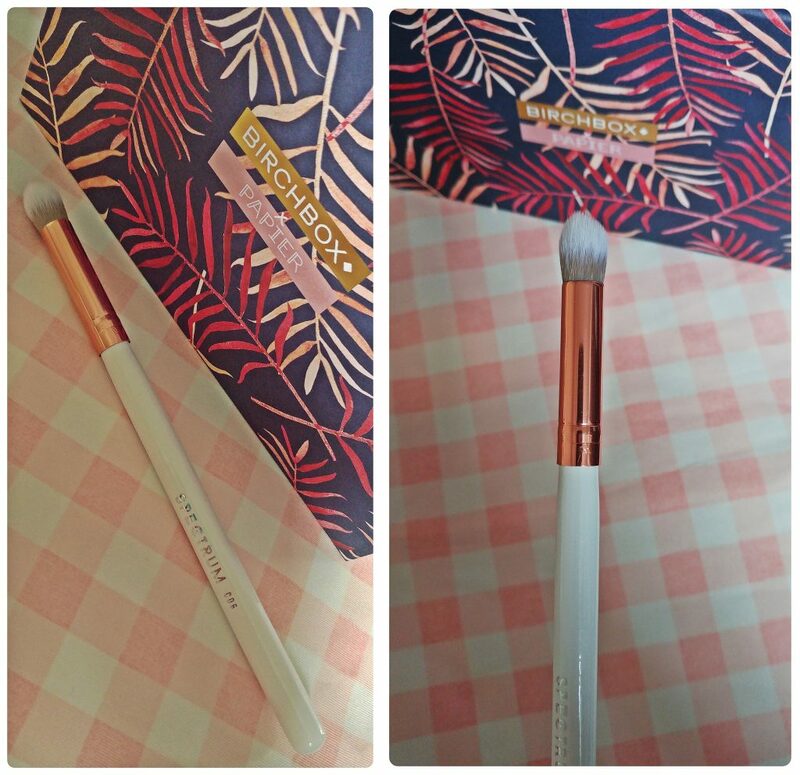 I’ve heard before of Spectrum Collections and after using this Marbleous C06 brush I want to buy the entire collection. You can use the flat side of the brush to apply all-over colour and the tip to define in the crease. This palette of silky shimmery shades it’s perfect to create smokey eye. Also, very good to carry it with you when you go somewhere ’cause if you don’t want to wear smokey make-up then you can opt for a single colour from the set. It was very handy when I went to Paris, chose the smokey eye for Valentine’s Day. Long lasting. For a nice smokey eye apply the middle shade over your eyelid, the darker colour through the socket crease and the lightest in the corner. My hair is one of the things I like about myself. It used to be longer but before dyeing it almost completely black (+ a few red & blue highlights) I decided to change it a bit more and cut it shorter. Some people may think (some even told me) that my hair will be damaged if I continue putting it through colour changes but as I always said: it won’t happen because I always take care of it. 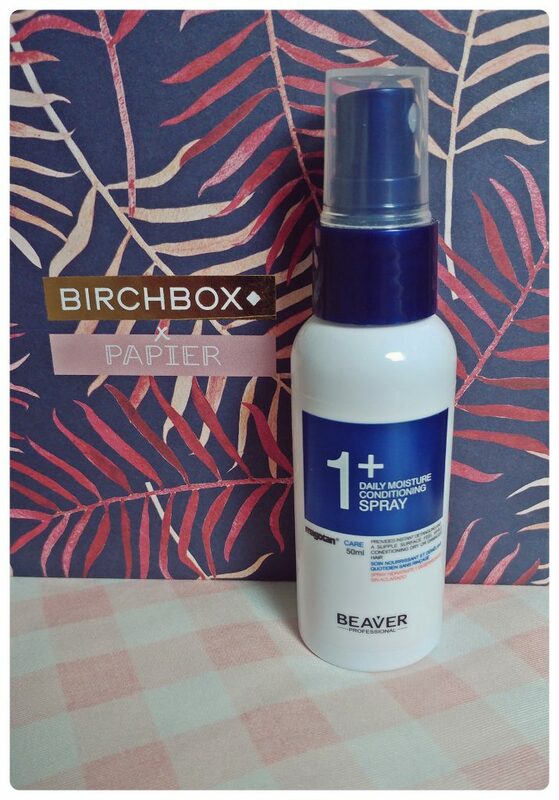 This moisture conditioning spray it’s really good, love its smell and how it nourishes my hair. Only 50ml sample so I will have to buy the full size. Mist into damp hair, massage in then style as normal. I love the smell of this dry oil and how it feels on my skin. I’m not into buying oils usually but I’ve heard about Nuxe products, never bought one tho. It’s a blend of six essential oils (including camellia, macadamia and sweet almond) plus Vitamin E to help hydrating and restoring body, face and hair. Tbh, I don’t use it on my face ’cause in general I don’t like the feeling of oil on my face but I totally love it on my body. Use a few drops over face/body/ends of dry hair. 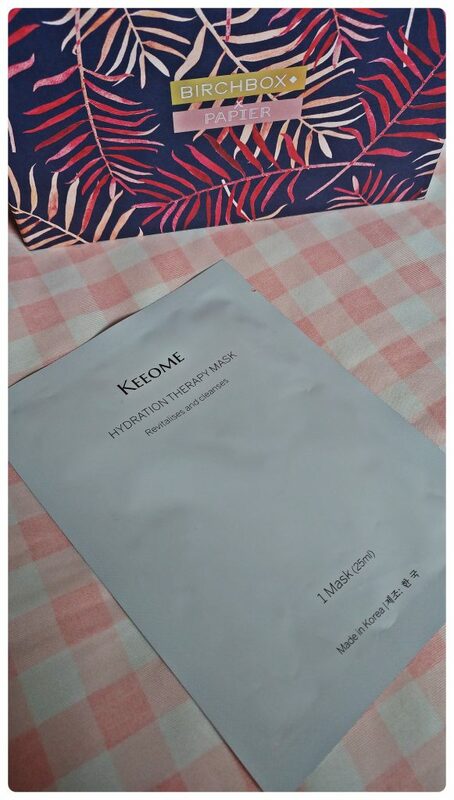 I’ve never heard of Keeome but I will totally buy more masks after trying this one. It’s a sheet mask – never tried one before. It says that it will revitalise skin in minutes, thanks to a hydrating blend of vital vitamins and mulberry extracts that sink straight into tired complexions. It really works like that and smells awesome. I felt like I was at spa but I was actually laying down on the sofa at home. The sheet is a good size and fits well on your face. Apply the mask to clean, dry skin. Leave for 25 minutes then remove and rinse your face. I received this lip lacquer in Now Kith shade. I don’t usually wear lip lacquer, I prefer lipsticks but this one is not sticky, lasts long and it’s perfect for a day look. It’s also a very good moisturizer. What are your thoughts about these products? Have you ever used any of these? 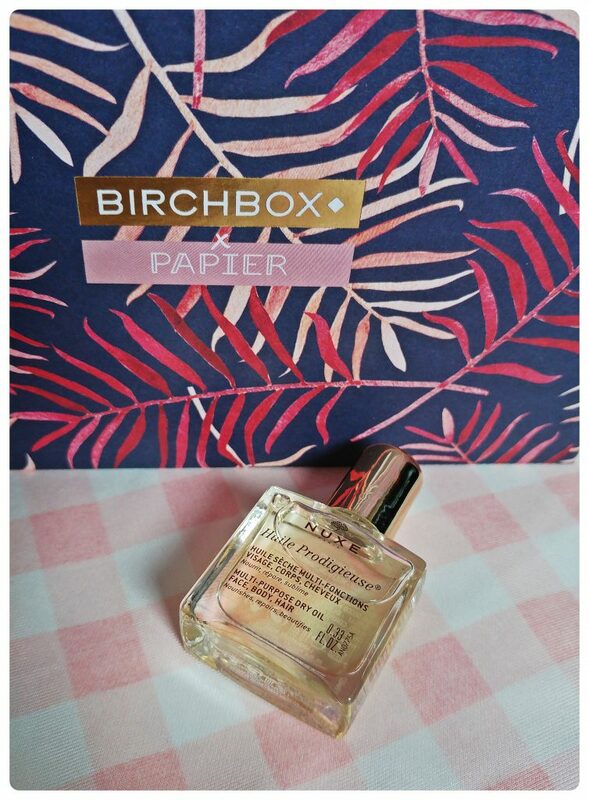 If you haven’t subscribed to Birchbox yet, use this link and you will get 50% off your first Birchbox! offer valid until 31st March 2017.